We welcome new government plans to enter into an official negotiation with the tourism industry for a ‘Tourism Sector Deal’, aimed at increasing productivity and driving economic growth. Described as a game-changer, the plans would officially recognise tourism as a globally competitive ‘industry of the future’ and put it at the top of the Government’s national policy agenda. In Cumbria, tourism supports almost 65,000 jobs and is worth £2.9 billion to the local economy. As the county’s official Destination Management Organisation (DMO), we’ve been been lobbying vigorously for an official deal to tackle a range of key issues specifically affecting our visitor economy, including: skills and labour supply, travel and transport, housing and digital connectivity. In recent months, this activity has seen Cumbria Tourism liaising closely with high-level influencers at VisitBritain and the Department for Digital, Culture, Media and Sport, as well as speaking directly to the Tourism Minister Michael Ellis and raising the issues to a House of Lords Select Committee earlier this month. It is expected that the negotiations just announced by the Government will lead to a final Tourism Sector Deal being announced early next year. 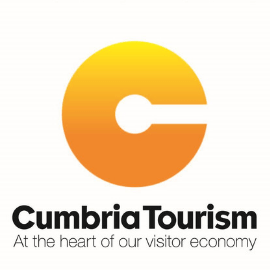 Managing Director of Cumbria Tourism, Gill Haigh, says, “This is the Government saying they are taking tourism seriously. It is a hugely positive statement of intent and it is now tremendously important that the Tourism Sector Deal moves forward. As the Destination Management Organisation for the Lake District, Cumbria, we will ensure the county is kept at the forefront of discussions in the coming weeks and months, and do all we can to support VisitEngland and VisitBritain to secure this opportunity.